Positive Letters .... inspirational stories ....: Spring – the season of new growth, abundant change ..
Spring – the season of new growth, abundant change ..
... blends of pinkish-purple green of the spreading white, pink or yellow wood anemones, green spikes of wild daffodils providing golden yellow trumpets, and the smell of ramsons – wild garlic – the green pointed basal leaves with the white frothy flowers, while the bluebell is waiting to raise its glorious head. Ancient woodland at Brading, Isle of Wight showing bluebells (blue flowers, Hyacinthoides non-scripta), ramsons (white flowers, Allium ursinum) and hazel trees, (Corylus avellana). Han purple so named .. is a type of artificial barium copper silicate pigment found in China during the golden age of the Han Dynasty between 500BC and AD220, when it was used in the decoration of the Terracotta Army; before this discovery azurite had been the only natural blue pigment. 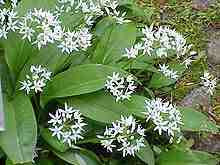 Ramsons – Allium Ursinum – the Latin name is due to the brown bear’s taste for the bulbs, which it delights in digging up. Boars and humans also enjoy Ramsons – remnants have been found in Mesolithic Danish and Neolithic Swiss settlements ... where they were probably used as fodder. Cows that have fed on Ramsons give milk that tastes slightly of garlic, and butter made from this milk used to be very popular in 19th century Switzerland. 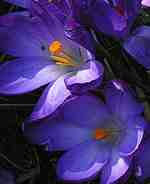 Crocus – Han Purple The graduated colours of crocus cultivars can appear as Han purple in direct sunlight. Ramsons’ leaves are edible – being used in salads, as a vegetable, in soups or as an ingredient for pesto in lieu of basil. The stems are preserved by salting and eaten as a salad in Russia, while apparently the bulbs and flowers are also very tasty – logical as the plant is a wild relative of the chive. These woodland flowers bloom early to benefit from the early sunshine, as during April to May the tree canopy closes, letting little or no sunlight through the burgeoning leaf growth to the earth below. All life responds to the changing rhythm of the seasons. As the earth’s orbit brings the Northern Hemisphere closer to the sun again plant growth conditions of warmer and longer days become more favourable. Some plants as those above steal a march by flowering before winter is full spent. By adapting to the colder conditions of early spring they avoid the fierce competition for space, light and insect pollinators that increases as the year progresses. Early spring plants must exploit their winter store of food to produce fresh growth. It has been established that plants detect changes in day length, and this triggers various phases of their life cycle – budding, flowering, fruiting and leaf-fall. Temperature changes also can modify the cycle in different plants. Animals too, are profoundly influenced by the changing seasons – protective structures or behaviour may be needed to survive the cold, but winter adaptations such as a thicker coat will soon need to be shed or adjusting to their symbiotic situations within the plant kingdom. 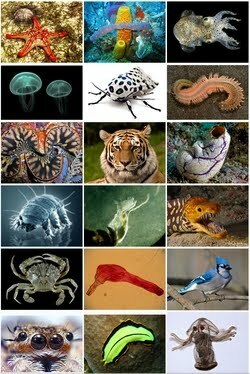 Animals, including insects, also detect changes in day length, and their bodies adjust to the yearly cycle. This seasonal rhythmic change brings about a state of reproductive readiness – some earlier than others; many species ‘take two’ ... producing two broods during the warmer days – Nature’s gamble .. ensuring almost always some success. T’was a face I did not know. Upon his death it was proposed that a celandine be carved on his memorial plaque, but unfortunately the Greater Celandine was mistakenly used! Nature is maintenance free ... natural life adapts to seasonal change, as it has done throughout earth’s history ... nature has created the most efficient natural mechanism for carbon sequestration – let the plants grow! 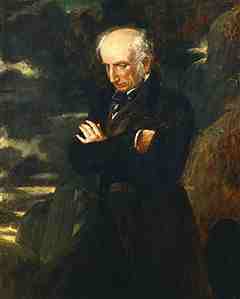 Over eons of history life has altered, changed and adapted and continues to do so, perhaps with one exception, ... as Wordsworth notes in the last verse of his "Lines Written in Early Spring" .. a philosophical quote of a man before his time? Dear Mr Postman – we watched some ‘Ski Sunday’, which used to be a favourite of my mother’s, then I left her watching “Shanghai Knights” with Jackie Chan ... just something different to do – but having had walls and ceiling covered with posters and postcards, she prefers plain walls for now. On Monday she was wide awake and really cheerful – sending me off to enjoy myself at a funeral and come back and tell her all about it and the people I met – she hasn’t been awake sufficiently since?! It was an extremely informative service at a beautiful little church with a lot of history, Oliver had been a man ahead of the times – and so I did enjoy myself ... with lots to tell you too! I love flowers and all things nature. I just purchased some new art supplies and woke up wondering what flower I should draw. I'm still undecided but your post was a nice surprise. I want to go for a walk in those woods. Hi Nancy .. how lucky to be talented to be able to paint and draw .. I just love looking at the new growth and watch the flowers display their full wares. Hilary, I have just caught up on your last few posts. I love your blog. You are interesting and informative. The topics you choose are so different. The snippets you share about your mother are delightful. It was lovely to see some old favourite wild flowers from home. Thanks for sharing. Hi Paige .. thank you - glad you enjoyed the virtual walk .. we need the fresh air ones too - taking time to smell the flowers on the way ..
Hi Glynis .. many thanks - I always slightly worry that my posts are a bit of jumble - but they seem to do what I intend .. give everyone an interesting ride down various paths .. and tickling stimulating ideas along the way. So very grateful for these thoughts. It's a good way of remembering how she is - & lets a few family members and friends keep an eye on her from afar! As well as remind my why the blog is here .. Does your Spring just turn almost straight into summer? But Cyprus is full of ravines .. I expect there are some beautiful walks in the forests and by the rivers ... but nothing quite like a Spring Walk through the bluebells under the deciduous greening boughs that we have in England. Hilary: I'm doing the A-Z challenge also. I hope I can do it!! Thanks for your comments about blogging, etc. I just realized I might have offended someone who writes long posts. Glad you weren't offended! What is so stunning about YOUR blog is the photographs (and these are wonderful!!) that go along with the text. 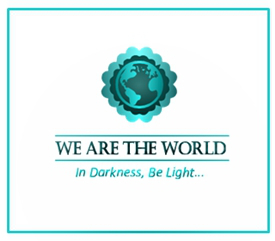 Your post today is like the others: filled with much to ponder, both written and visually!! Hi Ann .. 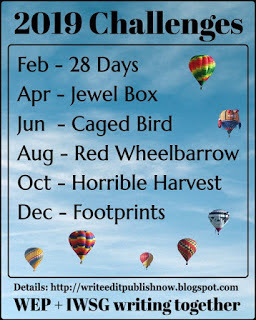 I'm sure we'll cope with the A-Z challenge .. it'll be fun & different. No problem re the long posts - I know I write them, but they're fun posts with something to think about and as you point out the photos make the post easier to understand. In March, our Spring arrives overnight. As do all our seasonsWe will pull on our jeans and realise we need shorts. . Cyprus has no rivers, we are drought ridden, sadly. This is the one thing I miss. High in the mountains the rivers fill when the snow thaws. When the rains fall (this month), we get a small brook near my home. The frogs love it. The area I live is agricultural and more lush than the rest of the area. Our Spring flowers are wonderful. The Almond blossom is just coming out now. Pretty. Our weather now is like UK Spring, but it is our coldest point of winter. And we feel the cold now we have lived here for over five years. Hi Glynis ..thanks for answering - so interesting I didn't know about the lack of rivers .. one day I shall visit Cyprus and find out! Yet you have frogs .. I suppose in the ponds. Beautiful almond blossom - I can imagine the fields and it does sound as though you live in a wonderful part - as your photos show. Spring will be here before we know it. Having a small taste of it this week here in the states (in my area, anyway). Thanks for the inspiration and reminder of things to come! Hi Karen .. good to see you - you're right Spring will be here very soon - it's been quite warm here. Glad the States is waking up too! I know it's good to know the weather will improve - that's one future we can predict to some extent. Hi Janet .. thank you for coming by .. glad you enjoyed Wordsworth's verses .. Nature IS maintenance free, a great reminder of it's renewal and perpetual cycle. Spring, spring, spring, would that it could ALWAYS be spring, I'd like that. Just keep the allergens away. I'm quite affected today by something trying to throw hooks into my sails and rigging -- but I'm trying my best to keep my spirits up and send that ship packing. I read your post this morning before our walk and thought I would comment this afternoon - so here I am but with sad news. The post intrigued the exploration of my yard to see what might be poking through or getting ready to bloom I have about 50 late blooming daffodils planted in bunches around the yard and I discovered that the slugs had eaten the blooms off every one - every one. It was still lovely to have sunshine for both walks and to see many things blooming around the area...and lots of things poking through the soil. Snow showers for tonight, but I am planning on pruning Saturday rain or shine. This was a lovely spring walk post Thank you for sharing. Hi Hilary. I can't wait 'til Spring! Me and a lot of others in the north. Your flowers look beautiful. Hopefully in another 6 weeks, we may start seeing blooms. Crossing my fingers. I was worried spring was far off but today was absolutely gorgeous, 51F and sunny. The piles of icy snow are smaller. The scary icicles are gone. Soon the crocus and the snowdrops will be sneaking up. This post make me excited for spring! I know so little about plants and flowers, it's pathetic. But I do like reading about them. Clearly, you know your plants. I also like reading books that include plants in the story - Susan Wittig Albert does that in both her China Bayles and her Beatrix Potter series. Loved the info and the pics, Hilary. I would love to taste some of that butter made from the milk of cows that have fed on Ramsons. I bet it is delicious. Spring is my favourite season and it won't be long now, that the blossoms will be blooming. I saw some daffodils waiting patiently to spring forth. Sorry to hear that someone you know has passed away, though, Hilary. My condolences. Beautiful flowers! Can't wait for my garden to wake up. Thank you for visiting my blog and your lovely comment. Spring is such a glorious season - I can't wait until it arrives each year. I get as excited as a kitten with a ball of string! Lovely post, Hilary! I hope your mother has another cheerful day when you can fill her in on all that transpired. Hi Jannie .. glad you picked up on that point - Nature IS maintenance free .. all and everything has a place in the whole. Oooh already .. I know I see people all around affected by allergens - and am so glad I escape. I love your line about the hooks into your sails and rigging .. and hope the nasty little things have sailed away?! Very unpleasant ..
Hi Patricia .. oh sad news - too true the daffodils being eaten by slugs .. I have to say I didn't think that would happen .. how very sad. Everythings up and starting to bloom here .. I just hope we don't have a very cold snap .. but it just makes the gardens and countryside look awake at last! More snow .. I'm glad ours has gone! Pruning .. good time ready for the spurts to come ..
Hi Joylene .. thanks - gosh 6 weeks to go .. that would be too much for me - mind you some years it is like that .. but we had such a terrible late November and December, perhaps this is recompense! Who knows the weather we have no control over!! Hi Holly .. the weather always amazes how quickly it changes .. we've had one or two balmy days .. so I can understand your feelings for 51F and sunny. We now operate in C ... but I grew up in F .. and I get completely non-plussed .. and sort of guess if I need a coat still - yes so far & today is damp and misty!! Piles of snow - they do go don't they eventually .. scary icicles - good description! Glad they've gone. When the first little spikes start coming through and the pearl droplet of snowdrops burst forth .. gorgeous feeling = Spring is near! Hi Helen .. I don't know a huge amount - but having been brought up with a garden one just acquires some knowledge .. and I'm still learning. I haven't come across Susan Wittig Albert .. I must make a note and have a look at her books - thanks for the recommendation. Stories and flowers always sit well ..
Hi Davina .. thanks - it would save us money .. wouldn't have to pay for the added value of the garlic flavour to the butter?! Slightly difficult if we wanted to make a chocolate sponge .... or toast and marmalade?! Our Spring I'd say is almost here .. which will be wonderful - though it won't be properly warm for a while probably. I love how the daffodil spikes sit patiently .. some have blossomed out .. Thank you - Oliver had had a very full life and lived to a good age - and the Service portrayed that .. A wonderful tribute to him. Hi Wendy .. thank you - your tea party looked glorious .. the setting magnificent and the company full of the joys of Spring .. I'm sure your garden will follow on soon! Hi Talon .. lovely description .. a kitten prancing around with her ball of string! I can imagine you out and about with your camera at the ready .. looking forward to the pictures. Thank you - I'm sure Mum will be fully awake again sometime soon .. each day I find out - perhaps today! She'll enjoy my chit-chat .. as there were lots of things she would relate to - that I can expand on with her in a simple manner .. so she'll remember other things. Thank goodness you have come through the worst of the winter's presence. I have some daffys and tulips coming through the cold air to about 6 inches. Thankfully, they are used to our Canadian Springs. Glad your mom enjoyed a bright spot with you. Hi Amy - thank goodness & our worst time was unusually before Christmas - Canadian Spring sounds glorious - clear skies and reflective light across the distances or over the lakes. Bit cold for me though!! But I'd love to see it. Yes - it was great having that wonderful chat time with my Mama .. more to come at some stage I'm sure. Hilary, it's -27 C and apparently going to get colder. The lake is frozen solid and probably 1 metre deep. No, I don't ice fish. But it's the reason your photos are so beautiful and appreciated. Hi Joylene .. gosh -27 degC .. I cannot imagine it .. and I am so glad I'm not there! But I'm sure it is stunningly beautiful. Do they go out on the lake and make holes to ice fish? That too isn't my idea of fun .. Fantastic if the photos give you hope of your spring to come and what awaits you .. delighted to hear. Hi Deborah .. this time of year is wonderful isn't - as each species starts coming through or greening up ..
Spring is absolutely, hands down, my favorite season! Such lovely flowers and talk of walking in the woods makes me wish spring would hurry and get here. It's been a bit warmer, but not warm enough to start planting anything yet. Always enjoy your post. Hi Mason .. I think it's been a bit cold for gardeners here - but in a few weeks - I've seen gardens tidied up ready for the plants to arrive and it looks gorgeous .. clean, weeded earth ... a new earth ready for abundance! Could be a good subject for one of your videos? Amusing ... and different ..
Hmm, the trouble is if you are heading for spring we are headed towards autumn. Not a pleasing idea. Hi Al .. I know - I used to think about that when I lived in South Africa .. and just wanted to hop on a plane and get back for an English Spring and Summer! Enjoy both worlds in the warmth .. Sorry about reminding you - especially as this year hasn't actually been that great in Australia with all the climatic challenges ..
What a nice variety of flowers that peek out in early spring. Here, we get the purple crocuses, red tulips, and yellow daffodils. Hi Theresa .. we remember the common ones, but forget the lesser mortals who sprout around too ..
Our tulips usually come in April or May .. the leaves are coming up now for the early ones .. then of course the blossom appears ..
LOVE these pics! 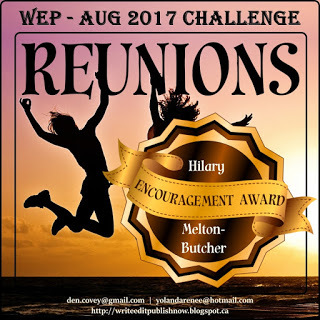 Great post, and what a cool blog you have, Hilary! Hi Marvin .. really lovely to see you here and thanks for following. No problems .. you're here now .. and thank you so much for the comment - appreciate it very much. These glitches do happen at odd times .. great to know you'll be coming back .. did you get to the Okavango posts? My grandfather studied plants and even wrote a book on the flowers of Nova Scotia, where I grew up, so I can't help admiring the green growth. Here in London, the cherry trees are blossoming now. They are so beautiful. How amazing - I've hope you've got a copy of his book, perhaps his original text and paintings .. or pictures as well? Fascinating ..
Cherry trees out now .. gosh it's cold down here .. but the weather is warming .. so probably cherry trees blossoming soon too. As you say the fluffy blossoms are beautiful ..
Hi Sharon .. I remember those days .. childlike wandering around plucking little bunches of flowers for my parents ..and sitting on the lawn making daisy chains .. and putting the buttercup under everyone's chin to see if they liked butter .. I love the flowers. Mom always had the prettiest flower beds, full of bulbs that bloom every spring. Many of them are still there. I also like that "nature is maintenance free". It does always clean up after itself...eventually. Hi Linda .. my Mum was a great gardener and the garden always looked wonderful .. not sure how much is there now! But she gardened where-ever .. and loved it .. Yes - I loved that phrase .. "nature is maintenance free" .. especially if we leave it well alone! Wow what amazing site and posting! Thank you for sharing all you wonderful knowledge with us. Best wishes to you, Hilary. Hi Jamara .. delighted you've come by - good to meet you. Thank you .. I just love passing on quirky or interesting information blended together Hilary style!! Delighted to know you enjoyed it. I am amazed how much further advanced you are with spring than back in Ontario. These blooms in the woodlands are uplifting. Thanks Paul .. but they're not my photos! They're examples of woodland and plant life .. that will soon be with us. 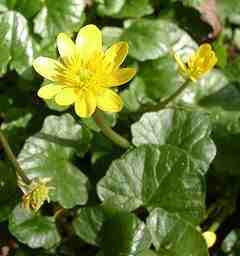 Certainly Spring is coming on - as the leaves are greening and the early plant life is making full use of any sun. Occasionally we have hot weather (for us!) at this time of year .. about 20 years ago it was 64 degF today .. and about 8 years ago we had 86 deg F at the end of March! Somewhat extraordinary .. eating a family visitation full roast outside! I'm loving all the flowers sprouting! Hi Tanya .. good to meet you .. and thanks for coming by .. love your Austin site ..